The origins and progress of the Australian Society for the Study of Labour History (ASSLH) have been described, and disputed, in numerous places. Eric Fry’s 1999 memoir, John Merritt’s 2008 article and Bruce Shields’ 2010 account of the early years provide a full story of how the Society was established and the motives of its founders. After a brief glance at the wider context, the purpose of this paper is to consider the backgrounds and interests of the remarkably diverse cluster of people who set up the Melbourne Branch of the ASSLH less than a year after the national Society was formed. In looking at their public lives and what they brought to the Branch, it might be possible to show something of their common cause that gave the Branch its distinctive character within the Society and helped sustain it to the present day. As the Society celebrates its fiftieth birthday and rejoices in the international recognition of its scholarly journal Labour History, there are signs that the synergies between labour history as a profession and a cause have begun to weaken. Industrial and political labour are losing their grasp on their core constituencies and show alarming signs of becoming an exhausted social movement. Despite the participation of politicians and trade unionists at recent national ASSLH Conferences, the Society is in danger of succumbing to a creeping professionalisation that could alienate one of its core constituencies. Both our own and international experience suggest that the viability of organisations like the ASSLH depends on continuing activist engagement which tends to flourish best in decentralised branches rather than at national level. This study offers an appreciation of those who founded the Melbourne Branch and suggests that something of our future might be found in our past. The national ASSLH arose from the happy convergence of circumstance and commitment. In the late 1950s and early ‘60s there were signs that Australian cultural life was beginning to respond to the artists and intellectuals who had doggedly challenged the intellectual torpor of Cold War public culture. In the visual arts, theatre, literature and history new works were created that turned attention to the Australian experience through a critically nationalist lens. Whether it be Drysdale’s landscapes, Nolan’s Kelly series, Arthur Boyd’s ‘Half-caste Bride’ or Tucker’s portraits, many painted in the 1940s, all found a wider, more culturally self-conscious audience in the 1950s. Robin Boyd’s querulous engagement with Australia’s Home  and The Australian Ugliness  provoked debate about the aesthetics of the post-war suburban environment. Manning Clark assembled two volumes of Select Documents in Australian History (1950 & 1955) as a precursor to his epic national history. Patrick White traversed his disturbingly resonant imaginative landscape in an Australian context. Ray Lawler’s exploration of the private lives of itinerant cane-cutters in his Doll trilogy found a wide and appreciative audience who identified with Barney, Roo, Olive and Nancy. Judah Waten’s Alien Son  and Allan Marshall’s I Can Jump Puddles  gave an autobiographical voice to the struggles of ordinary people. The establishment of the journal Overland , edited by Stephen Murray-Smith, under the slogan, ‘Temper Democratic, Bias Australian’ signified a growing interest in the radical democratisation of cultural debate. Part of this involved the rediscovery of an Australian radical tradition explored in works like Vance Palmer’s Legend of the nineties  and Russel Ward’s classic study, The Australian Legend . Some of Ward’s sources indicated a renewed interest in folklore and bush ballads expressed in the work of collectors like Wendy Lowenstein, the formation of bands like the Bushwhackers and the staging of the first folk musical Reedy River . The lives, loves and labours of ordinary Australians were returning to centre stage. This interest in national democratic cultural traditions was reflected in the increasing convergence of academic and activist labour history. There was already a solid body of work on political history, biography and trade unions by those involved in or close to the action. One of the most widely read of these was Brian Fitzpatrick’s Short History of the Australian Labor Movement [1940 & 1944]. This kind of writing ran parallel with the collection and preservation of labour movement records by ardent enthusiasts such as Victorian Labor MP Sam Merrifield and Queensland activist Joe Harris. In the more formal academic domain, the Australian National University, at the instigation of Noel Butlin, had begun collecting business records to support its research in economic history. It became a crucial part of the research network in Canberra that supported projects such as Eric Fry’s 1956 PhD thesis on the condition of urban wage earners in the 1880s. Bob Gollan had returned to the ANU from London in 1953 and went on to publish two major works on Radical and Working Class Politics  and The Coalminers of New South Wales  that set the tone for the emerging academic labour history. Prompted by Ian Turner and Stephen Murray-Smith who were alarmed by the rate at which union records were being destroyed, Bob Gollan persuaded the University to add trade union material to the Archives’ holdings in 1959. University archivist Bruce Shields set about expanding his contacts in trade union and labour activist circles and began building the collection. Eminent British social historian Asa Briggs’ visit to the ANU in 1960 drew attention to the rise of ‘history from below’ in the United Kingdom and Bob Gollan suggested setting up an Australian labour history society modelled on the British one. After some preliminary discussions, a meeting was set down for 31 May 1961 in Brisbane at the ANZAAS conference. The Australian Society for the Study of Labour History was formally established at that meeting with Gollan as President, Fry as Vice-President and editor of its proposed journal, and Shields as Secretary/Treasurer. Sam Merrifield, having been especially encouraged to make the long trip from Melbourne, was among the thirty-seven people present at the inaugural meeting. The Society’s founders knew very well that if it were to take root in Melbourne, it would need more fertile ground than the passing enthusiasms of academic researchers. Sam Merrifield, with his collection and connections, was the ideal person to cultivate. He had extensive experience of working class and Labor politics, a prolonged period as one of ‘His Majesty’s unemployed’ during the depression, the expansive network of a practising politician, a fierce curiosity and the obsessions of a dedicated collector. He was born in 1904, educated at Moonee Ponds West Primary and Essendon High schools, completed an apprenticeship and evening classes, and worked as a surveyor for various Victorian Government instrumentalities until retrenched in 1931. Politicised by his unemployment, he returned to work for other government agencies in 1935 and then entered the Victorian Legislative Assembly as the Labor Member for Essendon in 1943. Following a redistribution, he won the seat of Moonee Ponds, holding it for ten years during which he served as Minister for Public Works in the Cain Government. 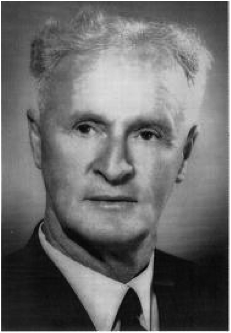 Falsely denounced as a communist by the Groupers in the ALP, and later exonerated by the Lowe Royal Commission, he lost his seat in the political blood-letting of the 1955 Split. He was elected to the Legislative Council in 1958 and served as Deputy Opposition Leader from 1960 until his retirement in 1970. For several years he had collected labour movement records and in doing so had made contact with a wide range of activists. His private collection, held in a garage at the back of his Moonee Ponds home, rivalled the labour holdings of many public libraries. As the study of labour history gathered pace, many researchers sought his help and access to his collection. One of the most sought after resources was the card index system he had built up, using the resources of the Parliamentary Library, recording references to individuals and organisations in published sources. As the ASSLH founders understood very well, the Merrifield collection was an important part of the research infrastructure for labour history in Australia. In 1971 the ASSLH made him a Life Member and Monash University, at Ian Turner’s behest, conferred on him an honorary Doctorate of Letters in 1973. 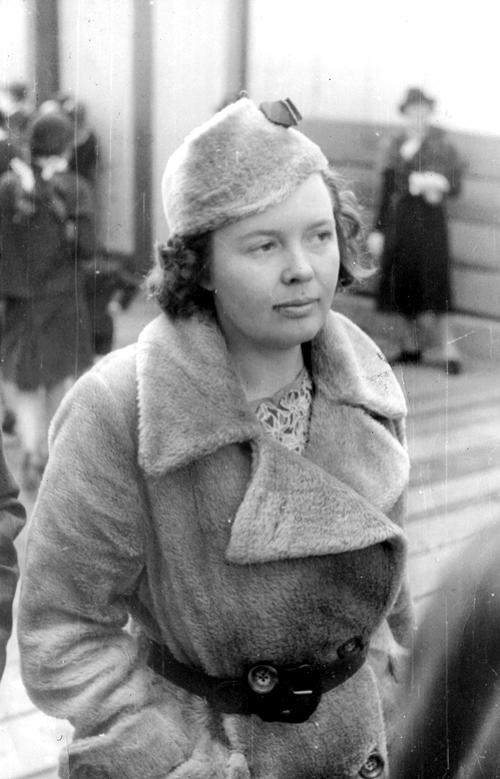 Bertha Laidler (Bertha Walker), in the early 1930s. After the inaugural meeting of the ASSLH in Brisbane in May 1961, Merrifield moved quickly to mobilise his contacts to set up a viable branch of the Society in Melbourne. The first he approached were an existing group of historical enthusiasts, the Pioneers of Progress, established at Unity Hall, Melbourne on 4 July 1959 ‘to commemorate the achievements, for Socialism and Rationalism, of Harry Scott Bennett’. The Committee consisted of W. Glanville Cook, R. J. (Roley) Farrall, Brian Fitzpatrick, Jim Garvey and Bertha Walker. The small membership comprised a heterogeneous assembly of rationalists and socialists of assorted hues. It was one of those sincerely intended, short-lived organisational expressions of good intentions that have abounded in Australian left politics. Sam Merrifield was not persuaded of their likely longevity and prevailed on several of them to become active members of the Melbourne Labour History ‘group’. Brian Fitzpatrick, ever preoccupied with writing books on labour and economic history, campaigning for civil liberties and scratching out a meagre living with his pen was an occasional participant. Nevertheless, his books cast a wide light over the whole field of labour history, a fact acknowledged later when the ASSLH accorded him the singular honour of being made its first Life Member. Regrettably, it was a brief tenure. He died on 3 September 1965. Two of the Pioneers who came over to play an active and constructive role in the Melbourne group were Jim Garvey and Bertha Walker. Garvey was a gentle, deeply sincere socialist who worked in the Victorian Railways for most of his life. His historical interests centred on early socialists and radicals in Victoria, with a particular emphasis on the history of the Yarra Bank and its orators. His research notes reflect an abiding interest in their ideas and the theatre of ‘the stump’. Bertha Walker was the daughter of prominent Victorian socialist Percy Laidler. Raised in a politically radical milieu, she began work as a public servant, became active in the Communist Party of Australia (CPA), went to England with fellow communist Judah Waten and then returned to Australia where she became a full-time Party worker and parliamentary candidate. After the war she moved to Darwin where she worked for the North Australian Workers’ Union and married its secretary, Joseph Walker. Back in Melbourne, she drifted away from CPA activism and concentrated on her family, paid employment as a legal secretary and compiling material for a life and times book on her father. It was that project, and her long-standing CPA network that brought her into contact with the Pioneers of Progress and the Melbourne Labour History group. Her book, Solidarity Forever, was published in 1972 and was widely referred to in subsequent historical studies. She was assisted in the research and editing of the manuscript by another early member of the Melbourne ASSLH, David Hudson, a former history student and the second Secretary of the Branch. Well on his way to building an encyclopaedic knowledge of the Melbourne left, he went on to become a teacher and, in 1972 Manager of the International Bookshop in Elizabeth Street Melbourne. It was a convenient outlet for labour history and radical books as well as a city meeting point for the intersecting networks of which the Labour History Society was a part. Early in 1962 Merrifield moved quickly and methodically to organise the Melbourne members of the new ASSLH into a formal branch with elected office bearers. He sought agreement with the national executive and Shields replied that the Melbourne group could proceed as they wished ‘so long as it lies within our constitutional aims’. This was instrumental in persuading the national committee, at its first Annual General Meeting, to nominate convenors for each city where the Society had reasonable numbers. Meanwhile, Merrifield had written to Victorian Labor parliamentarians, state and federal, union leaders, academics and activists, inviting them to a meeting in Room 413, Political Science Classroom, 4th floor, New Arts Building, Melbourne University at 8.00 pm on Wednesday 7 March 1962. The room had been arranged by another founder of the Melbourne Branch, Lloyd Churchward, communist intellectual, academic and scholar of the labour movement and Soviet politics. He remained an active, courteously constructive member for the rest of his life, despite failing eyesight in his latter years. Among those present at the foundation meeting of the Melbourne Branch was Muriel Heagney, feminist, indefatigable campaigner for women’s wage justice, whose 1935 book, Are Women Taking Men’s Jobs?, had put her at the forefront of the cause that she pursued until her death in 1974. Her letters to Sam Merrifield in the early 1960s show her usual fighting spirit but there were early signs of the increasing poverty that was to haunt her last days. David Hudson was a foundation member. Academics Jill Eastwood, Allan McBriar and Allan Martin attended, as did Storemen and Packers’ Union stalwart Bert Payne and the legendary Fred ‘Fish Fingers’ Farrall, a First World War soldier radicalised by the Western Front, a controversially elected official of the Clerk’s Union and sometime Mayor of Prahran. Thus far, no minutes of the meeting have been found but there is a hand-written list of names and addresses of those who attended. The national ASSLH Bulletin noted that Sam Merrifield was elected Chairman and Ray Evans Secretary. The plan was to bring members to Melbourne meetings and, if they had not already joined the national ASSLH, to sign them up and engage them in its work. For the first couple of years their primary activity was a regular meeting in the Political Science Classroom, usually once every two months, where a guest speaker would address an historical topic to generate discussion. Merrifield recorded most of the talks on a reel-to-reel tape recorder and retained them in his collection. There was a pent-up body of knowledge about labour history that had not found an easy public outlet thus far. In talking about their shared experiences, however, unresolved differences over what they meant often agitated members. While this expressed the vitality of a living history, it was often a test of comradely civility. The Labour History Society was a place where political and industrial activists, academics and their students could explore and expand on a domain of Australian history that was emerging as one of the most innovative and exciting fields of social and economic history at the time. It was founded on a shared curiosity and mutual respect that presented a constructive challenge to settled ideas on all sides. While it did not entirely eliminate activists’ suspicions of academic pretention or professional intellectuals’ tendency to condescension, the differences were diminished. Often they found common cause in the rising social movement activism around such issues as the Vietnam War and the Peace Movement, the New Left, early Second Wave Feminism and Anti-Conscription. Most of these had historical antecedents about which the older activists had an instructive story to tell the academics and their students. None were content to simply interpret the world. They all wanted to change it. A little over a year after the formation of the Melbourne Branch, Edward Thompson published his monumental The Making of the English Working Class (1963) which gave great momentum to the emerging interest in ‘history from below’. Among the activists, for those that needed reminding, it asserted the role of human agency in historical processes, proclaiming that the common people might presume to make their own history and have a hand in shaping the way they experienced class relationships. Although there is no evidence that Thompson’s landmark book was formally discussed at meetings, the more general point that working class and people’s history was being taken seriously suffused all the work that the Society did in the 1960s, and after. Its activist members had a forum to recall, analyse and debate the issues and events that had absorbed their lives, given them meaning and purpose. Usually, however, meetings discussed matters of pedantic detail, ‘getting the facts right’, justifying past positions and interpreting issues in a contemporary political perspective. Occasionally they offered the simple pleasure of an interesting antiquarian wander down some charming historical byway. At bottom, what the Society represented for many of its members was an attempt to repossess their history and put it on display. But, like all good labour people, the first question that concerned them was, ‘What is to be done?’ One of their earliest meetings involved a short address by Lloyd Churchward to ‘guide members in our activities’, a very pertinent issue since the national ASSLH was still finding its feet and the relationship between academic and activist history had hardly been addressed. Some of the subsequent talks involved personal reminiscences of industrial or political activity such as the venerable Mark Feinberg speaking about his long life of political engagement with the Australian Socialist League of 1907, the Industrial Workers of the World, the Workers’ International Industrial Union and the Australian Labor Party. Muriel Heagney, long-prominent ALP woman activist as well as equal pay campaigner offered an analysis of the 1921 Socialisation Conference. Roley Farrall talked about ‘His personal experiences and recollections of the IWW’ while Tom Audley, former General Secretary of the Workers International Industrial Union between 1920-24, led a discussion on the WIIU, the One Big Union and their precursors. Addresses such as these occasionally led to the winkling out of manuscripts from private hands into public collections. Such was the case with Alf Wilson’s memoirs of this period. The preservation of historical records was another, equally important role of the Society in places like Melbourne that had a rich history of labour activism. It was exemplified in Sam Merrifield’s own remarkable collection, but the accelerating rate of destruction of union and other movement records was of such concern that the Butlin Archives at the ANU began collecting too, as did the State Library of Victoria and, later in 1973, the University of Melbourne Archives. Harry Pearce, another of the first generation members, gave a talk about labour organisation and agitation at the Creswick Mines, birthplace of both John Curtin and the Australian Workers’ Union. As an amateur historian and avid collector, Pearce rivalled Sam Merrifield in the extent of his collection, although he was more interested in the rationalist movement and Australian literature, rather than the labour movement as such. However, they did overlap at several points. His collection of books and manuscripts, willed to the National Library, covers some 54 shelves. Unfortunately, there is no record of discussion when eminent scholar and Melbourne Branch office-bearer F. B. (Barry) Smith gave a talk on Joseph Symes and the Australian Secular Association. If Harry Pearce was present, the interchange between academic professional and amateur collector might have been an interesting indicator of how the early days of the Branch’s academic/activist marriage was going. There were, of course, occasional frank and honest differences of interpretation, but they appear to have been handled within the ambit of normal civilised discourse. The one issue that did occasionally cause some tension within the Branch was when controversial contemporary issues arose at meetings. When J. Roseby, Secretary of the Histadrut, spoke on the ‘Jewish Labour effort here’, Bertha Walker complained to Sam Merrifield about what she saw as the intrusion of Zionist propaganda into an historical forum. Over the years there have been numerous occasions where speakers, trained in the CPA party school to believe that we study the past to understand the present and shape the future, have transgressed an invisible boundary, to the irritation of their fellow members. But it has been a recurring theme rather than a continuing problem. Current members of the Melbourne Branch, however, know full well that to mention B. A. Santamaria to the present Secretary is to court an apoplexy! In the early years of the Branch, the most difficult dispute was not over the relationship between the past and the present but the allegations of communist infiltration of the ASSLH, which focused on the personal tensions between Eric Fry and Bruce Shields in Canberra. The Melbourne Branch, despite efforts to involve it, was too wise in the ways of factional squabbles to be drawn into the dispute. Sam Merrifield, for one, had been an electoral victim of the great Labor factional schism in 1955. An original aim, and an abiding ambition of the Melbourne ASSLH had been to sustain a productive collaboration between academic and activist labour history. The early indications were encouraging. The Branch’s first public event was a display of some of its historical artefacts. On Friday 26 October 1962 a Labour and Radical Exhibition opened in the foyer of the State Library of Victoria. In preparing and publicising it, Merrifield and other Branch members were helped and supported by academics who had not previously engaged with the Society. Unionists showed interest in their movement’s history and students were able to see something of the rich history that lay behind the apparently mundane everyday existence of trade unions and political organisations. There was generous, if episodic support from academics like Geoffrey Serle, Ian Turner, Stephen Murray-Smith and others. Brian Fitzpatrick, whose books were used in university courses but who never occupied an academic appointment, addressed the Society’s June 1962 meeting on ‘The Civil Liberties League, 1916 to date’. All the while, academics referred their students to Sam Merrifield seeking access to his collection for their research projects. His correspondence files contain two very gracious letters from Catherine Santamaria thanking him for helping her with a project on the Depression. Andrew Reeves was another history student, later Labour Archivist at Melbourne University Archives, who Merrifield helped and was drawn into the Society, serving time as Branch Secretary in the mid-1970s. Perhaps the best example of common purpose in the early years was in the organisation of a public lecture about ‘The Writing of Labour History’ by Bob Gollan at the University of Melbourne on 25 July 1963. It was initiated by Allan Martin, a member of both the History Department and the Melbourne ASSLH, although not himself a labour historian. In a long letter discussing arrangements whereby the University of Melbourne Historical Society and the Melbourne ASSLH could jointly sponsor the lecture, Martin described the relationship as he saw it, in his typically perceptive and generous way. I hope you will not in any way misunderstand me when I say that in my opinion you underestimate the appreciation that the few of us who are academics in the Assn have for the very fine and selfless work you have been doing. To be honest, I believe that it is only a person of your own gifts and position who could successfully conduct proceedings such as we have had – for one thing I doubt whether the honest and straightforward folk from the union world who comprise such a large proportion of the membership would (at least at this stage) respond as warmly and as trustfully to academic leadership as they do to yours. As I see it, the branch of the Assn has developed in a very healthy manner into a sort of meeting place for the two types of folk, and I think that by being relatively self-effacing, we academics can best cultivate quietly a sort of mutual friendship which will continue to encourage the other members, who are the people who really know from their own experience so much of the vital past, to give of their knowledge in the stimulating way they have done so far … & it is not only knowledge either – it is personality, & a whole social attitude that comes through in an uninhibited way that you are recording for historians at your meetings. The event was duly organised, Bob Gollan gave his talk on writing labour history in the Classics Theatre in the University’s Old Arts Building on 25 July 1963 and the relationship that Allan Martin described was affirmed yet again. Having just published The Coalminers of New South Wales, which used both union and employer records in the Butlin Archives to write a union history that saw labour as a relationship, not just an entity, the timing was propitious. Many Branch members in the audience had an intimate knowledge of unionism, and for academics the book presaged the culturalist turn that British labour history was taking. With the Branch steadily increasing its membership and public profile, by the beginning of 1964 it was clear that it needed a regular publication of its own that was linked to the meetings and directly addressed the local membership. The notices section at the end of each Society Bulletin, published twice a year, reported on the various Branch activities but the notes were brief and gave no real sense of the vitality emerging in Melbourne. Jack Hutson, research officer at the Amalgamated Engineering Union, contacted Merrifield after seeing a notice about the formation of the Branch in the Bulletin. They exchanged research material and Hutson joined the Society. He remained an active member for the rest of his life, serving as Treasurer and editor of the newsletter at various times. During the course of his membership he wrote two widely respected books, Penal Colony to Penal Powers (1966) and Six Wage Concepts (1971). Another Branch stalwart who heard of the Society through word-of-mouth was the redoubtable John Arrowsmith, union activist with the Tramways, Vehicle Builders and Transport Workers unions, Communist party organiser, pamphleteer and indefatigable agitator. Where most people saw a gathering of a dozen or more as simply a crowd, Arrowsmith would see them as a rank-and-file in need of organisation. During the penal powers campaign in 1969 he published the widely circulated pamphlet Abolish the penal powers: freedom’s fight of ’69. He too remained an active Melbourne ASSLH member, serving in most executive positions as well as editor of special issues of the newsletter. He was also the main driver of the Society’s campaign to revive the Labour Day celebration in Melbourne, which attracted such notable orators as Gough Whitlam and Manning Clark. Both Arrowsmith and Hutson exemplified the remarkably productive activists who joined the Branch in its early years and remained with it until their deaths. With his own collection rapidly filling the family garage and an expanding pool of talent signing on, Merrifield decided it was time to launch a newsletter to mobilise and focus members’ efforts. He called it Recorder, and put a book and pen and tape recorder on either side of its masthead. His editorial in the first issue of July 1964 explained its purpose and its challenge to members. For some time it has been obvious that more is required for members than the “Bulletin” at 6 month intervals. The “Bulletin” is designed for serious and larger studies and “Recorder” hopes to take up the short pithy items. “Recorder” is therefore a challenge to members to enter collective activity, to contribute, no matter how short or infrequent, an article. Its continuation is a matter for all to ensure. Can you contribute information about men, objects, events, organisations, books, pamphlets and matters associated with Labour history? We will concentrate on Victorian material only because our resources are directed to that end, but anything of other States will be welcomed. The Society, with the publication of this newsletter, enters a new phase, it has been running on the goodwill of a few officers and subscribers, but the rest of the members have not contributed. Any seemingly unimportant item may be a missing piece in an historical jigsaw puzzle. Items will be welcomed. Members it is now up to you. We are waiting. And so began a small publication that has been in continuous production ever since. Its simple clarity of purpose has not altered. Indeed, it is possible to image the current editor writing a similar address to members. Most of the articles in Recorder’s first few years were either written by Merrifield from material in his collection, were transcriptions of significant documents, bibliographies on specific topics or news about events and people concerned with labour history. It was very much the work of one man. However, several of the members rose to his challenge. Harry Pearce supplied a list of his collection’s holdings on Eureka. Bert Payne wrote about the 1920s Labor Discussion Group. Stephen Murray-Smith reviewed several books. Bertha Walker contributed a piece on women’s suffrage in Victoria. Norm Saffin reported on an historic excavation in Creswick. Merrifield compiled several lists of pamphlets held in the Victorian Parliamentary Library. There were obituaries, sadly including their own member, Brian Fitzpatrick. David Hardy wrote about the beginnings of the Australian Bank Officials’ Association. Bert Davies contributed a short piece on Anti-Conscription pledges. This pattern continued for several years after Recorder commenced. It was remarkable how it quickly became a forum for news and discussion of historical issues by the enthusiasts who comprised its principal audience. It also served, especially through the bibliographies and other amateur finding aids, as a very useful research tool for both its activist and academic constituencies. In so many ways, it served Sam Merrifield’s implied purpose as Labour History writ small and local, with plenty of colour and movement. The activists and the academics who founded the Melbourne Branch of the ASSLH gave themselves a place where they could explore, debate and celebrate the past that had formed them and their movement. It gave them purposeful, reflexive activity that helped preserve their historical artefacts, encourage writing about labour and radical politics, breathe some experiential vitality into those written accounts of their shared heritage and allowed them to speak for themselves into the historical record. They served the wider historical community through collaboration with more formal scholarly practitioners, apprenticed and accomplished. They worked with libraries and archives to preserve their collections. They gave those in the labour movement who cared to listen a deeper sense of historical identity that was both reassuring and challenging. Despite some abrasive moments, they created a collegial community that reached out into a wider network of associations in a city where civic engagement had long been part of the public culture. They forged their own accounts of a shared past and professed that history to a wider audience. By viewing their past in a distant mirror, they saw themselves more clearly and sharpened the focus for others to see a living, vibrant story of working lives and common causes. In talking about how they made their own history they began to contemplate how that history had also made them. In their passionate commitment and tireless activism they were both historical actors and historians. Perhaps it is time for us to address again the balance between profession and cause in the activity and membership of the ASSLH, to re-engage with our labour movement constituency and publish more work that arrests their attention and resonates with their experience. * This article first appeared as Peter Love, ‘Melbourne Labour History: A Collective Biography of its First Generation’, in Melanie Nolan (ed. ), Labour History and its People: Papers from the twelfth national labour history conference, Australian National University, Canberra, 15 – 17 September 2011. It is reproduced here with permission. Eric Fry, ‘The Labour History Society (ASSLH): A Memoir of its First Twenty Years’, Labour History, no. 77, November 1999, John Merritt, ‘R.A. Gollan, E.C. Fry, and the Canberra Years of the Australian Society for the Study of Labour History’, Labour History, no. 94, May 2008 and Bruce Shields, ‘Australian Society for the Study of Labour History: A Brief Personal Account of the First Three Years’, Labour History, no. 99, November 2010. It is beyond the scope of this paper to explore the abundant literature on Labour History in Australia. A good starting point for the uninitiated would be the obituaries and tributes for Eric Fry and Bob Gollan published in Labour History, no. 94, May 2008. See, for example, Terry Irving and Sean Scalmer, ‘Labour Historians as Labour Intellectuals: Generations and Crises’ in David Palmer, Ross Shanahan and Martin Shanahan (eds. ), Australian Labour History Reconsidered, Australian Humanities Press, Adelaide, 1999. I thank one of the anonymous referees for drawing my attention to this reference. The British experience would seem to confirm this. See John McIlroy, Alan Campbell, John Halstead and David Martin, ‘Introduction. Fifty Years On’ in Making History. Organisations of Labour Historians in Britain since 1960. A special 50th anniversary supplementary issue of Labour History Review, Maney Publishing, London, 2010. Again, I thank one of the anonymous referees for drawing my attention to this reference. Recent discussions with organisers and participants at the annual Working Class Studies Association conference in Chicago during June 2011 suggest that a similar process is under way in the United States, except it appears to be between organisations rather than within them. For a magisterial overview see John Rickard, Australia: A Cultural History, Longman Cheshire, Melbourne, 1988, esp. Part 4. For a short survey and select bibliography covering the earlier periods see Peter Love, ‘Labour Relations’ in D. H. Borchardt (ed. ), Australians: A Guide to Sources, Fairfax, Syme & Weldon Associates, Sydney, 1987. The narrative of events leading up to the formation of the ASSLH are drawn from the Fry and Shields memoirs and the correspondence files in the Merrifield Collection, State Library of Victoria, MS13045, Box 13, folder1. In a two-page, handwritten CV he listed his occupation between 1931 and 1935 as ‘Nil. Member His Majesty’s Unemployed’. Ibid. See Eric Fry, ‘Obituary: Sam Merrifield, 1904-1982’, Labour History, no.44, May 1983 and Peter Love, ‘Samuel Merrifield’, Australian Dictionary of Biography (ADB), vol.18, forthcoming. Coincidentally, two of the ASSLH’s Life Members, Sam and Brian Fitzpatrick, as well as the author, a long-serving member of the Melbourne Branch Executive, at different times all attended Moonee Ponds West Primary School. The Merrifield Collection is now safely ensconced in the State Library of Victoria at MS13045. Letter from J. Garvey, Secretary/Treasurer, seeking members for the newly formed Pioneers of Progress Commemoration Committee. Merrifield Collection, Box 13, folder 1. The standard account of Brian Fitzpatrick’s life is Don Watson, Brian Fitzpatrick: A radical life, Hale & Iremonger, Sydney, 1979. His notes are in the author’s possession. Andrew Reeves, ‘Thomas Percival (Percy) Laidler’, ADB, vol.9. David Hudson, ‘Bertha May Walker’, ADB, vol.16. Shields to Merrifield, 1 March 1962. Merrifield Collection, Box 13, folder 1. Fry and Shields to Members, 26 September 1962, ibid. They were: Associate Professor N. B. Nairn, Sydney; Mr S. Merrifield, Melbourne; Mr W. J. H. Harris, Brisbane; Mr M. D. McRae, Hobart; and Mr C. Lamp, Launceston. Sam sent an invitation on 21 February 1962 and received numerous apologies. Among them were ones from Don Cameron citing a clash with a Senate sitting time, Jim Cairns preoccupied with a Richmond By-election campaign and Tom Audley at a scheduled union meeting. Roger D. Markwick, ‘Activist Academic: Lloyd Churchward as a Labour Intellectual’, Labour History, no.77, November 1999. Lois Farrall, The File on Fred: a biography of Fred Farrall, High Leigh Publishing, Carrum, 1992. Merrifield Collection, Box 13, folder 1. Bulletin of the Australian Society for the Study of Labour History, no.2, May 1962, p.93. The second Secretary of the Branch, David Hudson, is sure that Ray Evans, the original Secretary, is the same person who went on to be one of the four founders of the H. R. Nicholls Society. The author holds a copy of these memoirs, made in case they were lost in transit between private and public hands. For a brief biography of Tom Audley see, Peter Love, ‘Obituary: Tom Audley’, La Trobe Library Journal, vol.8, no.32, 1983. Whereas Sam Merrifield and Harry Pearce left their respective collections to public libraries, Tom Audley bequeathed his house to the State Library of Victoria. It is at NLA MS 2765. Bertha Walker to Sam Merrifield, 4 June 1964, in which she said, in part, ‘The only criticism I would make was of the lecture by the Zionist as I felt strongly that this was the one and only lecture which consisted of current propaganda about a current organization and that it had no historical content.’ Merrifield Collection, Box 13, folder 1. In the late 1970s the writer had to intervene between Sam Merrifield and John Arrowsmith at a committee meeting on just such an issue where past struggles spilled over into current controversies. On 10 June 1964, Bruce Shields wrote to Sam Merrifield, ‘When Fry was in Melbourne recently he went to see H. L. Roberts of the Richmond Chronicle. I asked him about it the other day and he was momentarily embarrassed – enough to make me wonder why. I realise this is a bad time for you, but would you call on Roberts, or ring him, and arrange for him to send the galley proofs of Labour History No.6 to you as soon as they are ready? Would you then send them to me for checking and proof-reading? I wouldn’t put it past Fry to try a bit of trickery. The way he has been acting lately is enough to make anyone doubt his good sense. It may be interesting to discover just what course his conversation with Roberts followed, if that is possible.’ Merrifield Collection, Box 13, folder 1. There appears to be nothing obviously controversial about the contents of that issue of the journal. The problem appears to have been elsewhere. Allan Martin to Sam Merrifield, 9 May 1963, ibid. Hutson to Merrifield, 30 July 1962, ibid. Peter Love, ‘Obituary: Jack Hutson’, Labour History, no.84, May 2003. Peter Love, ‘John Corbett Arrowsmith’, Labour History, no.74, May 1998. Recorder, vol. 1 no.1, July 1964.